With over 20 years experience with Photopolymer Signage, we are a premier source for the highest quality polymer signs in the industry. Our ability to run even the most complex signage is no problem for our staff of veteran fabricators. We are fully capable of running interior and exterior Photopolymer signs. 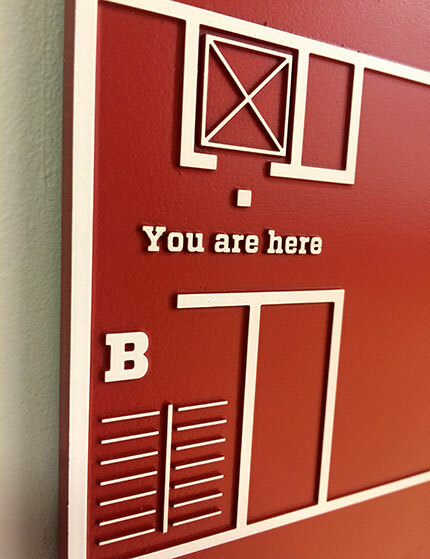 With Braille or just decorative features, we don’t shy away from complex or simple projects. 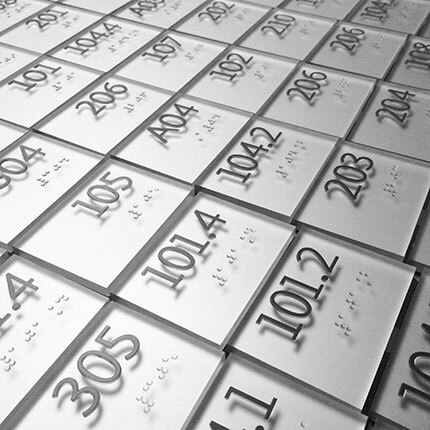 Our photopolymer substrates contain a high content of post-industrial recycled materials and is one of the most environmentally conscious ways of producing Braille in the industry.